While there are many counter styles and materials to choose from, installing a zinc countertop can result in a gorgeous and unique look for your kitchen. Popular in both oyster bars and Parisian bars and cafes, zinc counter tops are described as "living metal" which is hardly surprising. Unlike its stainless steel counterpart, zinc reacts to practically everything in its environment from water to lemon juice. Even fingerprints will affect this industrial metal. However, all of the stains and spots from every day use will eventually turn into a lovely blue-grey patina, giving the counter a wonderfully aged surface that many homeowners absolutely love. 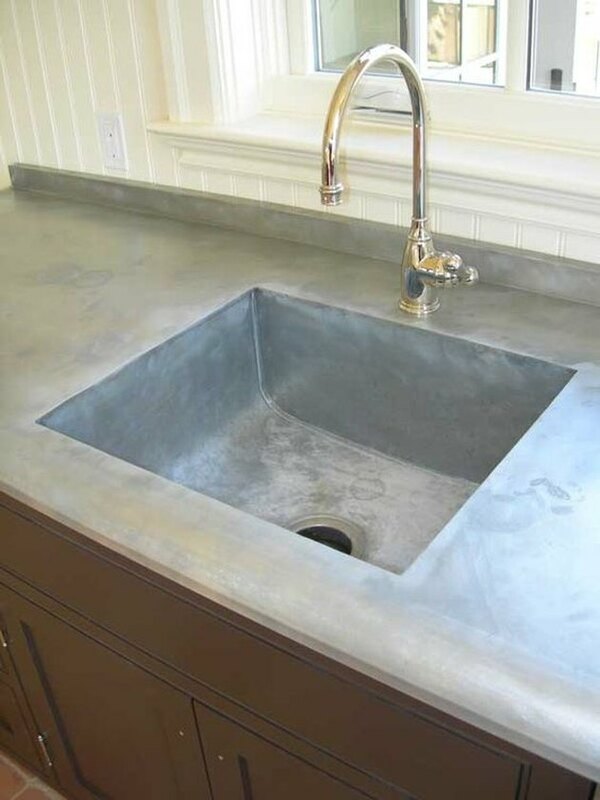 When stainless steel counter tops can look cold or sterile, zinc has character and a richer grey color. 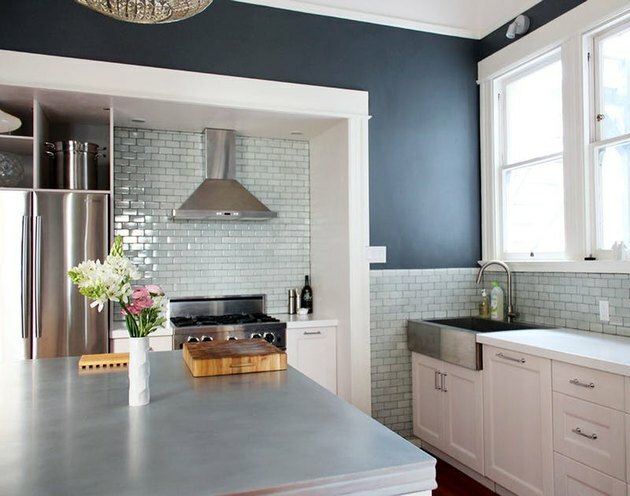 Here are a few things to know about zinc counter tops before you decide to install. The attractive blue-grey patina of a zinc counter top is one of the top reasons homeowners choose this material over any other. Usually this pewter-like effect takes up to a year to look seamless. The natural oxidization process, combined with any materials the counter comes into contact with, creates a rustic aged look that can be easily dressed up. While it is possible to polish a zinc counter, you have to be dedicated (and borderline obsessive) to maintain a pristine shiny look. If that is what you are going for, it may be better in terms of both time and cost effectiveness to choose stainless over zinc. That being said, if you are aiming for charm and adaptability, zinc is a great choice. Like many metallic materials, zinc offers a wide array of benefits. It is beautiful to look at of course, but it also is non-porous and therefore easier to clean. Zinc also has antibacterial properties similar to copper which is a definite plus for any food prepping area. It is durable, stylish, and can fit seamlessly into any interior style. Because zinc is so easy to work with, it can be molded to include decorative edges and fabricated to be completely smooth. Zinc countertops are easy to clean needing only soap and water or any other non-abrasive household cleaner. Use a soft cloth or sponge and avoid any cleaners that contain ammonia, bleach, or citric acid. 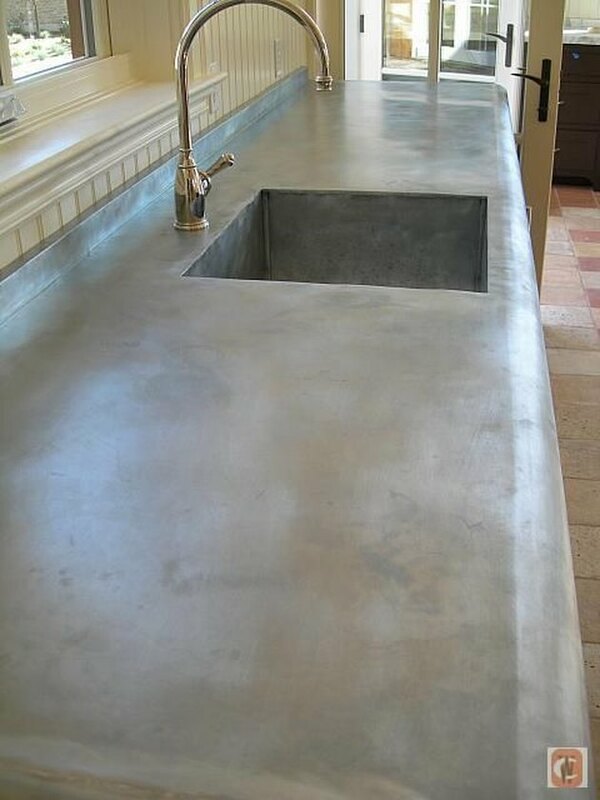 Because they have a natural brightness and aged patina, polishing zinc countertops is unnecessary. As with any natural material, it is recommended to shine your zinc countertops periodically with a small amount of beeswax. 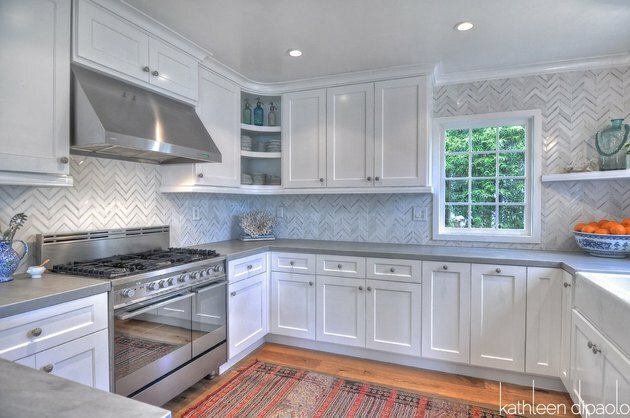 Unfortunately, zinc countertops can be fairly expensive. It is important to do some research before deciding on a metal fabricator or company. Depending on the scope of your project, the grade of zinc you would like to use, and how many square feet of counter you have, you could be looking at thousands of dollars, not including the cost of installation. Be sure to request a quote before you get started. 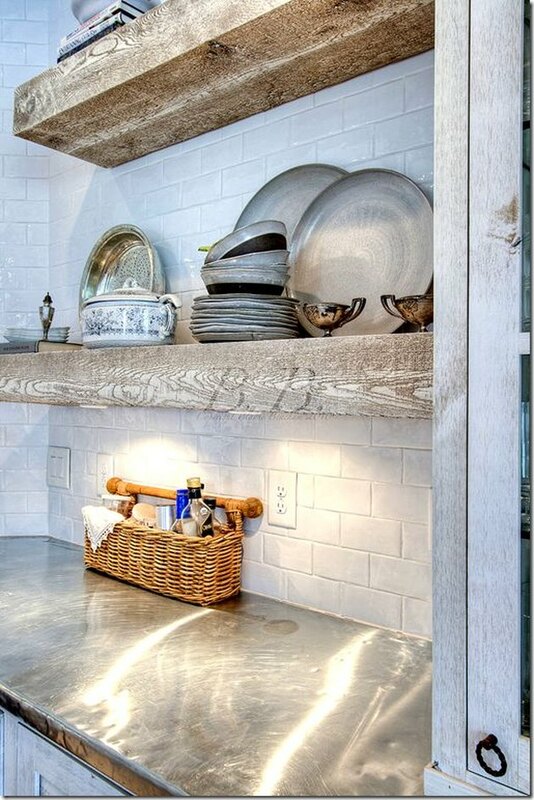 One of the biggest drawbacks of a zinc countertop is how soft the metal is. While all of the discolorations that can occur from everyday use will eventually meld together into an aged and elegant look, nicks and scratches are forever. It is important to use a cutting board and to be gentle with your counters. Zinc also can warp when exposed to heat and will melt if in contact with anything over 300 degrees Fahrenheit, so be sure to use trivets and potholders on hot items. Zinc cannot come into contact with copper, non-galvanized steel, or bituminous membranes commonly used for waterproofing. 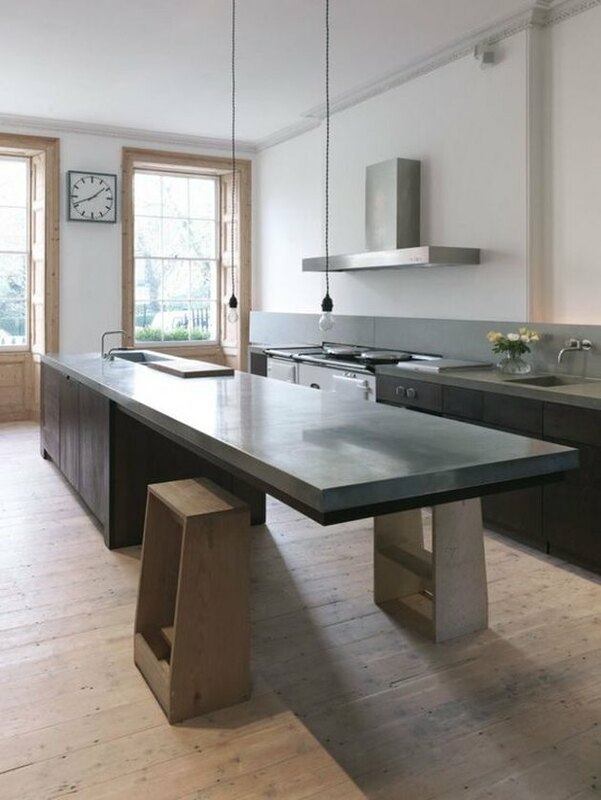 Even some woods are incompatible with zinc, so choose your cabinetry carefully. Avoid any wood that has a pH value of less than 5, such as oak or chestnut. Check the prices of zinc countertops often because they do tend to fluctuate. During the fall and winter months, prices tend to drop and zinc sheets may go on sale. Another possibility is to request "seconds" which are sheets that already have stains or discolorations on them. They are often marked down up to 20% and if you are willing to embrace their unique flaws, you can save on the overall cost of your counter. Because zinc countertops can be a large monetary commitment, a do-it-yourself project might be the way to go. 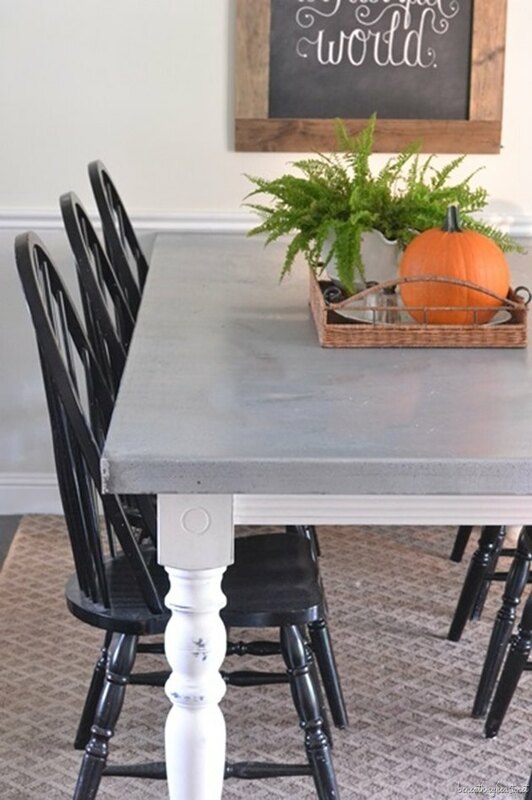 Traci from Beneath My Heart has a wonderful set of instructions on how to improve an ordinary wooden kitchen table by adding a zinc top. How Much Does an Engineered Stone Countertop Cost?